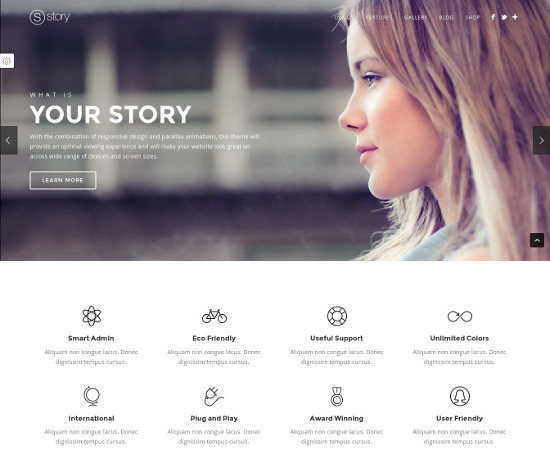 Enigma is a multipurpose WordPress theme built with minimal and elegant design. This theme is responsive and retina ready thus making it capable of adapting devices ranging from desktops, laptops, tablets, mobile phones to iPads and iPhones. On activating this theme you get theme options panel which has lot many powerful settings to choose and customize site with few clicks without any knowledge of programming. The most important feature of this theme is that it is compatible with a powerful page builder plugin called Visual Composer using which you can build any web page with any desired structure. Visual composer comes packed with elements like Button, Call to Action, Video Player, Google Maps, Raw JS, Raw HTML, Flickr Widget, Progress Bar, Pie Chart, Empty Space, Custom Heading, Post Grid, Post Masonry Grid, Media Grid, Media Masonry Grid, Pageable Content, etc. Filterable Portfolio layout with 2 to 4 columns and no sidebar. It is included with slider revolution, translation files (.po), etc. 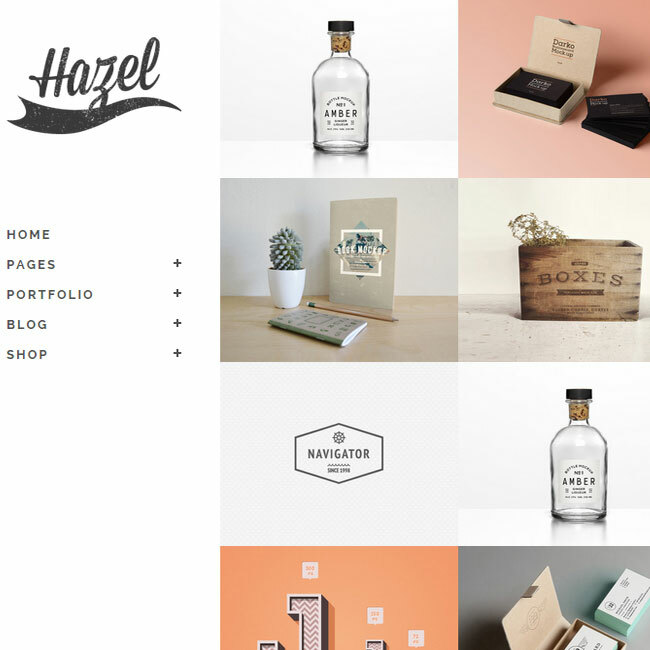 Grid Builder supported to build portfolio page layouts. Loved this theme. It is a perfect business type of theme. Good work themeforest. Visual composer is like a cherry on top. 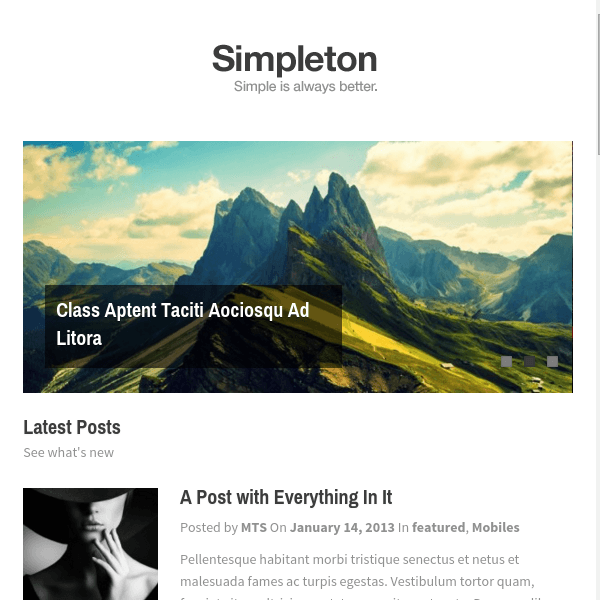 Minimal and professional Blogging WordPress theme.